Dude Seriously??? You gotta be kidding me!!! Who came up with this idea? 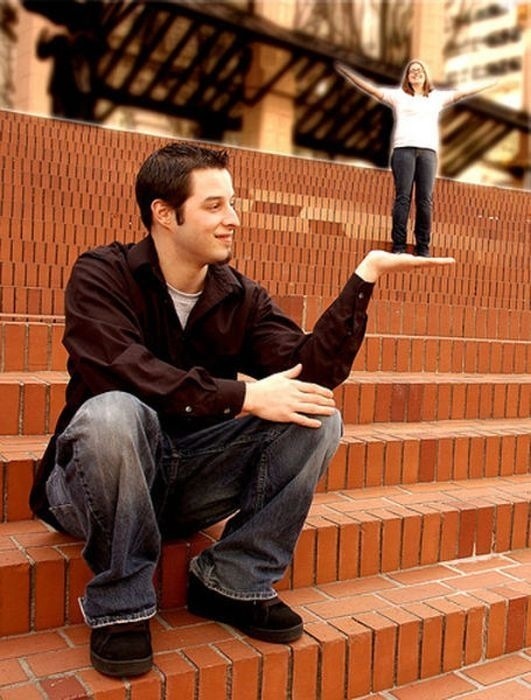 Please it’s a no… It looks pathetic..retake your engagement picture and this time, make your lady look normal and not like a little person and you the giant.. You are not from Olympus goddamn it!!! This couple made sure to spell out love with their hands in their photo, because everyone knows that its not true love if you don’t spell it out with your significant other for everyone else to read. Bonus points for the braces on the bride-to-be. 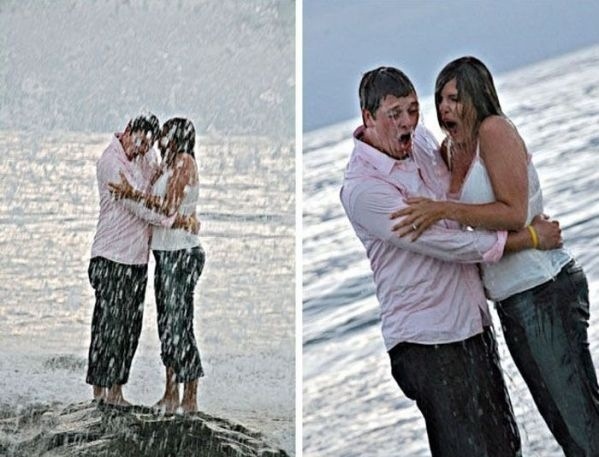 This couple attempted to take a loving engagement photo when out of nowhere a wave hit them. Unfortunate for them, but the result is great for us. Mabye they’ll pick a better spot for their second attempt at an engagement photo. Either this dude is telling his significant other a deep, dark secret or he is licking the side of her face in this photo. Either way, the smushed nose against your partner’s face look isn’t exactly the best look for a engagement photo. We get it, you and your fiancé really like fantasy novels and films. We do too. Who doesn’t like to sit down and watch an episode of Game of Thrones? 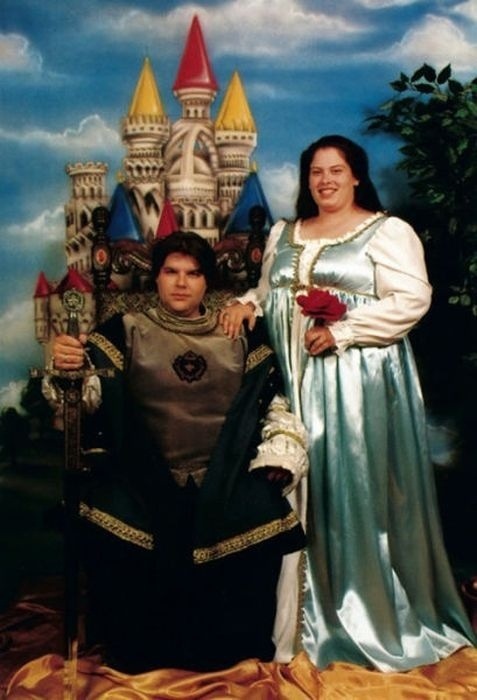 That doesn’t mean that you should dress up as a medieval King for your engagement photo. Save yourself the embarrassment and put on a suit and tie. This dude probably shouldn’t take his shirt off anywhere let alone in his engagement photo. What is that a tattoo of anyway? He probably thought that it would be a good idea to show off his sick new tat to the world with his engagement announcement. Major FAIL. This couple might have taken an engagement photo, but by the looks of it they probably won’t end getting married. They show no signs of affection whatsoever. Not a good sign for a couple about to get married. 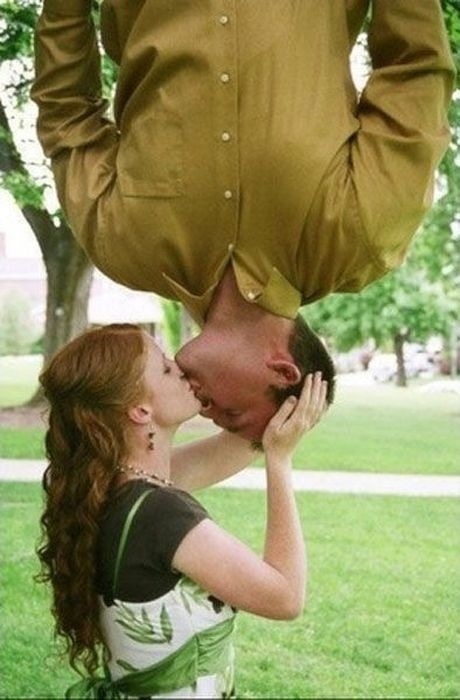 This couple decided to spice things up for their engagement photo by recreating the famous upside down kiss between Toby Maguire and Kirstin Dunst in the Spider-Man film. We applaud their ambition, but this photo is just corny. Come on now people. 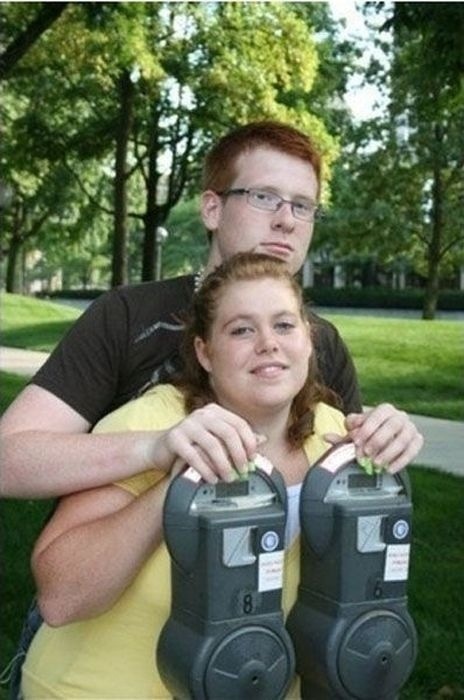 This couple decided to take their photo in front of a couple of parking meters? Why, exactly? We aren’t entirely sure. Maybe they met while working as parking attendants. Who knows? 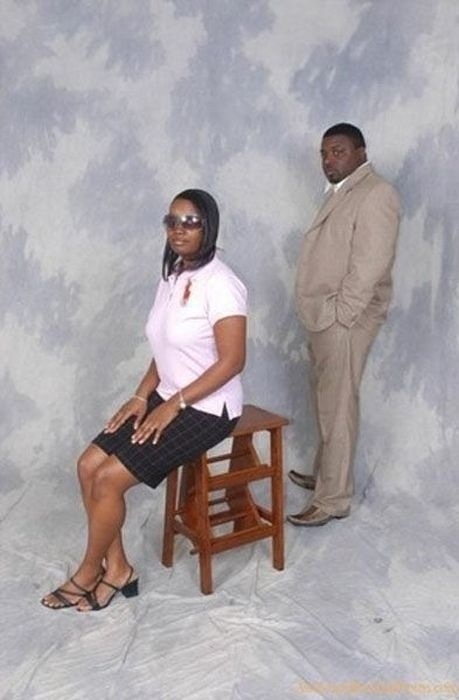 Either way, this is a pretty terrible engagement photo.